to the audits of several large companies f.i. 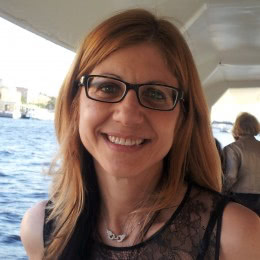 Part-time as an independent for Hillen & Co Accountants Brussels and Camps-Obers Antwerp. Courses at the "Institut des Reviseurs d'Entreprises"
Taking the oath at the "Institut des Reviseurs d'Entreprises"
Centre Général d’Expertises Comptables is an Accounting Firm based in Strassen, whose business provides various services, in particular the Domiciling of Companies, assisting in the Incorporation of Companies, accounting, tax and social services. CGE Sàrl is a Member of the Ordre des Experts-Comptables (Institute of Chartered Accountants). Recently Co’s opened a department « Islamic Accounting and Finance » with qualified staff as to respond to Luxembourg fast growing and very important place in the « islamic Financial World. Its objective is to satisfy its customers in a climate of trust, through a young closely-knit, dynamic, experienced, team, attentive to our clients and bound to professional secrecy. The company has almost 20 years of experience in Luxembourg through its co-founder Willem VAN CAUTER and the other Founders have more than 10 years experience. The office procedures also benefit from an analytical function through its managers, who exercise the profession of Statutory Auditors in a distinct structure. Our accounting department performs the accounting of commercial companies, financial investment companies and family wealth management companies, fulfilling the administrative and tax formalities required by Luxembourg legislation. All accounting entries are organised through our BOB 50 accounting software, which is updated with the new Standardised Accounting Plan (SAP), which has been applied since the 2011 annual accounts. The Accountant assists the Company in closing its accounts and organises, with its client, with a view to optimisation, its actual economic situation. From the accounting entry and/or the finalised review, the accountant responsible for your file draws up your balance sheet, your profit and loss account and the related appendices and the balance sheet is sent for your comments and or agreement. 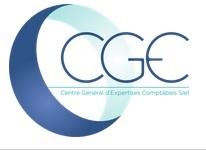 CGE joins IR as the exclusive Accounting Services Member in Luxembourg.